Now that Qatar's sovereign wealth fund indicated that it will throw its weight behind the merger, a tie-up between Swiss neighbours Xstrata plc (LON:XTA) and Glencore International (LON:GLEN) appears hard to stop. With 12% of the diversified miner Qatar is Xstrata's largest shareholder – apart from Glencore which already owns 34% but as a related party is not allowed to vote – and has been acting as kingmaker in negotiations. 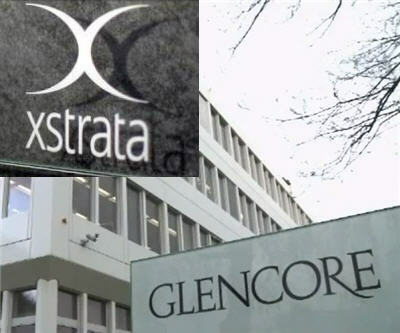 Shareholders of both Xstrata and Glencore will vote on the $66 billion merger of the two commodities giants in Zug, Switzerland on November 20. When the deal was announced in February Glencore was offering 2.8 shares for every one of Xstrata, but in September Glencore CEO and largest shareholder with more than 15%, Ivan Glasenberg, relented under pressure from Qatar and other major shareholders and upped the offer roughly 9% to 3.05. As part of the revised offer which would be the largest corporate deal of the year, Glasenberg, would lead the combined company and not current Xstrata CEO Mick Davis, who was earlier slated to lead a post-merger 'Glenstrata'. According to the latest merger documentation Qatar would own 8.4% of Glenstrata based on the current terms while Glasenberg's stake in the combined entity would be just under 8.3%. Glasenberg's role and $4 billion stake in a Glenstrata have not been the most contentious issues before shareholders – that would be the more than generous $220 million set aside for 'retention bonuses' for Xstrata's top management. On that score Qatar is less forthcoming saying that concerning the 'Revised Management Incentive Arrangement' it will abstain given "sensitivities concerning governance issues". FT.com points out that this "raises the possibility that the deal could go through without the retention package in place – an embarrassing result for Xstrata’s board, led by Sir John Bond, which had argued that without the retention bonuses the “value proposition” of the combined company would be at risk." Should a deal be made – and regulators fearing a Glenstrata will have too much power in coal and other metals could still block the transaction – it will the largest ever for the mining sector and shake-up the industry in the same way the BHP and Billiton tie-up did a decade ago. Glencore was founded in 1974 by Marc Rich, a fugitive businessman controversially pardoned by Bill Clinton shortly before leaving office in 2001. The firm with just short of 60,000 employees in 33 countries went public in a $37 billion listing in May last year. Glencore's IPO also made billionaires of Spaniard Daniel Mate ($2.8 billion) and Greek citizen Aristotelis Mistakidis ($2.8 billion). The two, number 40 and 41 of mining's richest, started at Glencore in the early 1990s in the company's zinc, copper and lead trading department. Alex Beard, director of Glencore's oil business raked in $2.1 billion during the IPO. Glencore which trades everything from cotton to copper to crude oil to has not only been good to its employees – US investor William Macaulay last year made $1 billion by purchasing convertible bonds in Glencore and Bulat Utemuratov (#71) who sold zinc and gold mining co's to the Swiss firm is once again a billionaire thanks to the IPO. Xstrata traces its roots back to 1926 with infrastructure investment firm Südelektra. Davis joined in 2001 and a year later listed the company on the LSE , when it simultaneously bought $2.5 billion of Glencore's coal assets. Xstrata is the world’s biggest exporter of thermal coal and the fourth-largest copper producer and in the decade under Davis has gone from having a fewer than 2,500 employees to a workforce exceeding 70,000 in 20 countries. A combined Xstrata and Glencore would have revenues in excess of $140 billion with as much as 80% of sales earned from mining. Even before building up Xstrata through a series of billion dollar transactions, Davis was a formidable dealmaker who with fellow South African Brian Gilbertson created Billiton. Davis left for Xstrata after Billiton was sold to BHP in 2001. Glasenberg and Davis both cut their teeth in their native South Africa’s coal industry in the 1980s.